The following is a guest post by Jim Kukral. Google knows this. Now you do as well. Easy always wins. Take a moment and picture your website or your blog or your product or service in your head right now. Now, think of Google’s. Which one is easier? No, you're not a search engine, you're probably a small business owner with a variety of products services, entrepreneur with a business idea, or blogger . But the comparison remains because regardless of what it is you do easy will always win. So keep thinking about your Web business. Is what you’re selling easy to buy? By that I mean; when somebody comes to buy from you, or to simply get information from you like a phone number or to download a white paper… is it easy to do? Or are you making it too hard? Picture Google.com again in your head. It's pretty darn easy, no? There's a logo and a big input box underneath it. You put in what you're looking to find, and hit search and boom, you find it. Easy. Google understands that customers use them for one reason, to have a problem solved, and therefore, that’s what they deliver, without all the frills that other search portals like Aol or Yahoo! try to offer. Your opportunity right now is to figure out the main one or two reasons people visit your website, because despite what you might think, your customers probably have only those one or two things on their mind when they visit you. If you visit the home page of Orbtiz.com, you’re probably there to do one of a few things only. Book a flight, find a car, or make a hotel reservation. Possibly all three at once. But honestly, that’s pretty much it, right? I would bet that 99% of their traffic is trying to do one of those things. The same goes for you and your website, blog, membership site or anything you produce online. What exactly are your customers looking for? You need to find out and find out right now! Check your analytics (I recommend Google Analytics, it's free! www.Google.com/Analytics) to find out things like the most viewed pages of your website, as well as the most exited pages too. You may find out that 90% of your visitors are focusing on the free white paper download page and ignoring the other pages you thought were important. That’s great news! Now, you at least know what your customers want. And now you can make it easier for them to get it. You may also find out that a large percentage of your visitors always leave your website on one specific page, giving you the insight that perhaps they aren't finding what they're looking for, getting frustrated, and surfing away. That's bad. So what should you do with that knowledge to make things easier for your visitor, and better for your business? If you're getting a lot of traffic to your free white paper download, go ahead and take that download information and make it stand out on your home page. If done right, you'll make it as easy as possible for your visitors to get what they were looking for, and you’ll see even more downloads, and happier visitors because you didn’t make them work so hard. 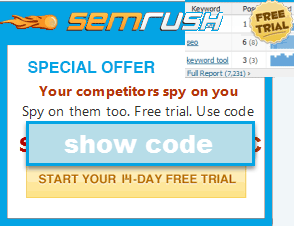 Now, you may also find out that the page you really wanted your visitors to see is not being viewed enough. This could be the specials page on your e-commerce site, or the packages page on your consulting site or maybe your customer support contact information page. Whatever it may be, once you know what it is, that page obviously needs to be viewed more, and while you can’t force it down your visitors digital throats, you can redesign your page so that it limits the other choices that can distract your visitor. Make it easy and simple, then win! For over 15-years, Jim Kukral has helped small businesses and large companies like Fedex, Sherwin Williams, Ernst & Young and Progressive Auto Insurance understand how find success on the Web. Jim is the author of the book, "Attention! This Book Will Make You Money", as well as a professional speaker, blogger and Web business consultant. Find out more by visiting www.JimKukral.com. You can also follow Jim on Twitter @JimKukral. Stickiness is the only thing SEO experts cannot "fake". our web visitors tell us what works and what doesn't.